From the heart breaking struggles of the wars to the nerve staggering fights against the enemies arise those heroes who fought and laid their lives for every soul so that we can breathe under the sun of a free country. To honor these real heroes, we can’t miss to celebrate Memorial Day. With so many things going around, there are couple of ways you can make this Memorial Day – a fabulous memoir. As it’s going to be a Memorial Day weekend, get on to your heels and pick from the list how differently you will celebrate this special day along with your furry companion. To honor those fallen heroes, Memorial day marathon or parade are usually held in various counties. Along with your pooch attend these events in your community to cheer up the participants. You can even volunteer in these events and bring smile on the faces of deployed veterans attending the events. The best way to pay homage to our troops is giving back. Volunteering is a great way to celebrate Memorial Day. You can volunteer at veteran’s club, donate blood or help at a park or a garden. There are many veterans who need companionship. Take your pet and spend a day with them – nothing can be more blissful for them than to be in a company of a lovable pet, which definitely adds cream on the cake. As you folks know that Memorial Day is the unofficial start of the summer. This instigates the desire to escape the heat wave, and camping is the best option and no wonder your pet will love to be on an outing. For camping, Memorial Day weekend stands there perfectly, where you can have time to remember those veterans on the field or in the woods along with your pooch. To be more patriot, you can go camping on war sites or places where soldiers have been laid. Just remember what has turned those brave one to have such a mettle heart to fight for the country. Taking inspiration from them, you can just put on some nerves (in case you are a puppy type or afraid of heights) and plan for mountain sky rides. And, on these rides, your furry pal would be your best companion to help lower your adrenaline factor. 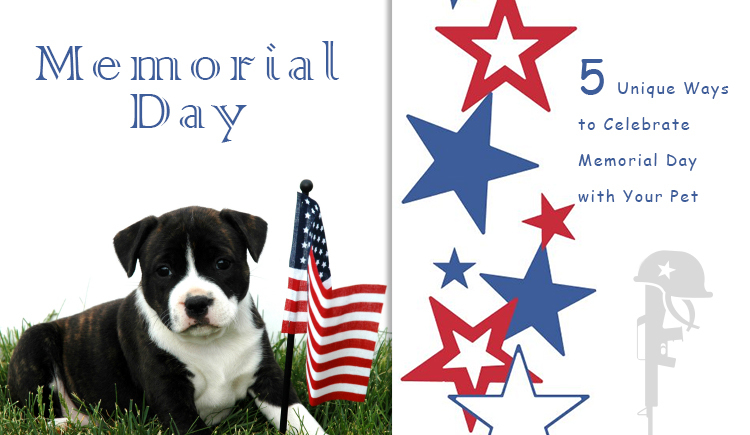 It is a perfect thing to do way with your pooch to spend a Memorial day. Buying Pet Supplies at Memorial Day Sale! To mark this day in the memory of those brave unsung heroes, there are numerous sales. 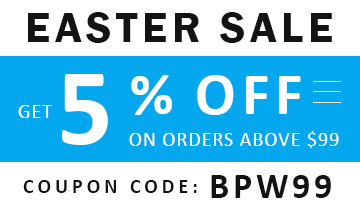 At Budget Pet World, we bring you an incredible discount sale on a vast range of pet products. With an exclusive range of popular flea and tick medications, worming products and other pet health related supplements, Budget Pet World strives to provide quality products and best services. This Memorial Day we are happy to offer gift coupons on top selling pet supplies products for you to avail surprising discounts with Coupon Code : “15MSALE” and help your four-legged companion lead a healthy life.